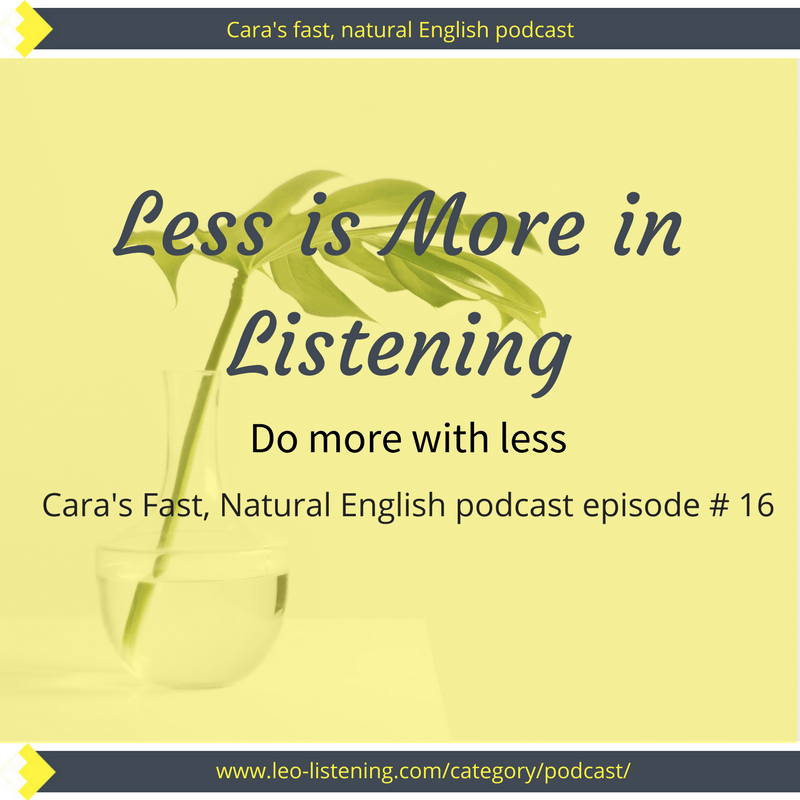 Welcome to the very first episode of Cara’s Fast, Natural English podcast in 2017. I’m glad you could make it. I’ve been reading the feedback from the Leo Listening community on the topics you’d like to hear more of. One of the more popular ideas was to discuss listening tips or strategies. Today’s episode has more of a mindset focus. Your mindset is to do with the way you think about things. Your approach to something. Your life or your work for instance. As you’ll discover in the episode, I’ve had to change my mindset with regard to getting things done and decluttering my house. My theme or slogan for 2017 is helping with that. It’s less is more. Robert Browning first used this expression in 1855 in his poem Andrea del Sarton (The Faultless Painter). Later, the minimalist architect, Ludwig Mies van der Rohe borrowed the term to describe his minimalist approach to design. In this episode I discuss why less is more has become so important to me. And why I think you should adopt it as a slogan for your English learning. Learn how to do more with less. Live Listening Event. Find out more about this live event and sign up here. 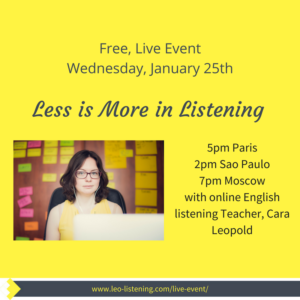 I’ll also show you how my programme, DYLS, can help you do more with less in listening. DYLS is back for its first round of 2017. It starts on January 30th. Want to know more? You can get all the details here.